It's London, as you know it. A black and white print of a traditional street scene, featuring some of the city's best-known landmarks. 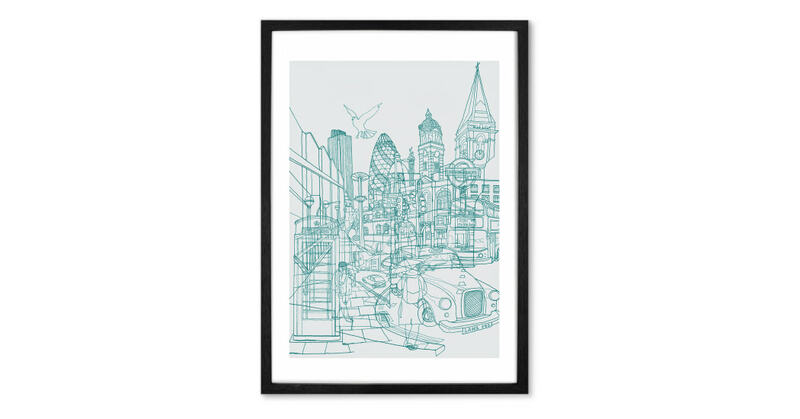 Thin black lines create the London skyline, with a skilled use of layering making this a print you'll want to keep admiring.